The subpeduncle lobe/olfactory lobe–optic gland axis is called the endocrine regulation center of cephalopods. However, little is known about the mechanism of the subpeduncle lobe/olfactory lobe-optic gland axis regulate the sexual maturation and post-reproductive death of Sepia esculenta Hoyle. The primary objective of this study was to provide basic information for revealing the mechanism of the subpeduncle lobe/olfactory lobe–optic axis regulating the rapid post-reproductive death of S. esculenta. In this paper, Illumina sequencing based transcriptome analysis was performed on the brain tissue of female S. esculenta in the three key developmental stages: growth stage (BG), spawning stage (BS), and post-reproductive death stage (BA). A total of 66.19 Gb Illumina sequencing data were obtained. A comparative analysis of the three stages showed 2609, 3333, and 170 differentially expressed genes (DEGs) in BG-vs-BA, BG-vs-BA, and BS-vs-BA, respectively. The Gene Ontology (GO) enrichment analysis of DEGs revealed that the regulation of cyclin-dependent protein serine/threonine kinase activity, oxidative phosphorylation, and respiratory chain were significantly enriched. 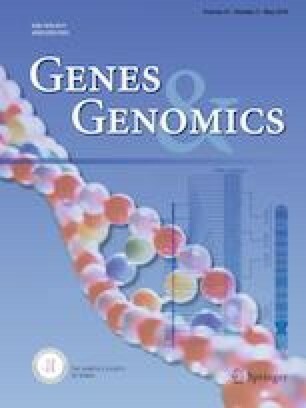 The significant enrichment analysis of the Kyoto Encyclopedia of Genes and Genomes (KEGG) pathway identified pathways associated with the regulation of death, such as the mammalian target of rapamycin (mTOR) signaling pathway, AMPK signaling pathway, oxidative phosphorylation, and cell cycle. The post-reproductive death of S. esculenta was found to be a complex energy steady-state regulation network system. The mTOR acted as an energy receptor and had a key role in regulating energy homeostasis. The online version of this article ( https://doi.org/10.1007/s13258-019-00811-z) contains supplementary material, which is available to authorized users. This work was supported by the National Natural Science Foundation of China (31672645), and the basic scientific research service fee of the Central Scientific Research Institute (20603022016001) and Taishan Scholar Project, Shandong Province (2015-2019).